With the host cities of the upcoming Concacaf World Cup Qualifying tournament announced earlier on Sunday afternoon, the possible pitfalls in the USWNT’s road to France grow in urgency with every passing friendly. With that in mind, the USA’s strengths (along with a few weaknesses) were on display in a refreshingly wide-open 6-2 victory over Mexico. The two-game series of friendlies showed that the reigning World Champs probably don’t have much to worry about when it comes to results, but they could still stand to continue to refine their play as the year progresses. Let’s look at three things that stood out. USWNT head coach Jill Ellis has a tendency to utilize friendlies more for chemistry and consistency than squad rotation, but when the starters, substitutes, and scratches were made public on Sunday, there were a number of interesting storylines to follow. Alyssa Naeher, the de-facto starting No. 1 goalkeeper for the USWNT, had a bit of a rough game on Thursday, with a number of unforced errors and questionable judgment calls opening the door to a conversation as to whether the other USA keepers (in the case of this roster, Jane Campbell and Ashlyn Harris) should be given a look. As it turned out, Campbell was awarded the start, with Harris as her backup, and Naeher was scratched from availability. While Ellis maintained that this was part of natural squad rotation and that the plan from the beginning had always been to start Campbell, one has to wonder if the competition for starting keeper has, at the very least, become more intriguing. Ellis also scratched Abby Dahlkemper, who had been getting serious minutes at center back, favoring Tierna Davidson, who started alongside co-captain Becky Sauerbrunn. Andi Sullivan was also not called upon to dress for Sunday’s friendly, another move that isn’t significant on its own considering her previous playing time, but perhaps had a more pointed edge to it considering Sullivan’s issues in the midfield on Thursday. The intended rotation proved important as Sunday’s match played out, particularly when dealing with a Mexico game plan that worked very physically against the USA midfield. 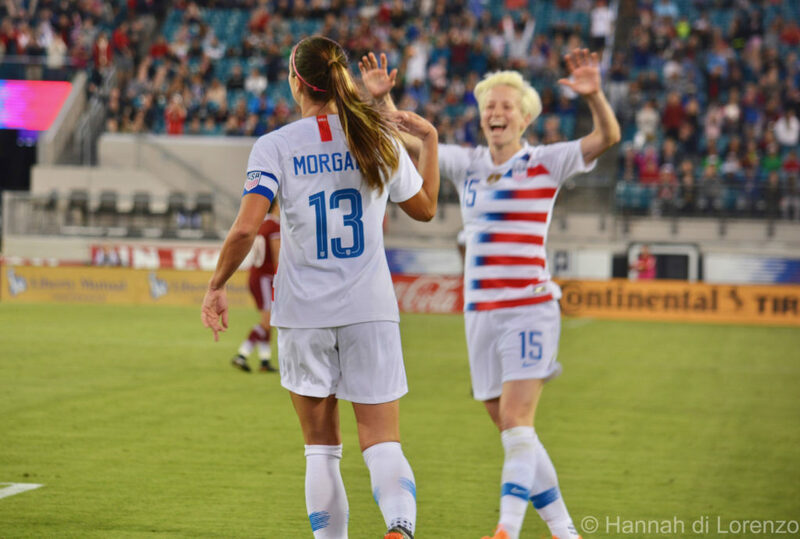 When some tweaked injuries forced Morgan Brian and Lindsey Horan off the field mid-game, Ellis called upon Haley Hanson to grab her first cap, and later Tegan McGrady and Hailie Mace saw the field for the first time with the USWNT top side. This felt according to plan, but also indicated that Ellis might not be quite done looking at new faces that can contribute to the USWNT as World Cup Qualifying approaches. Less clear is whether a late substitute bringing in Harris for Campbell was part of that game plan, or if Campbell’s own struggles in goal (giving up two goals to Mexico for the first time since 2010) gave the U.S. coaches reason for pause. 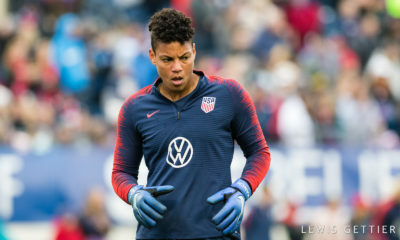 Campbell hasn’t had much time in goal for the full USWNT, and experience is going to be very important as the team rolls into qualifying, but with neither starters nor backups looking confident, Ellis is going to have to make some decisive moves regarding who gets those precious minutes going forward. Megan Rapinoe continued her incredible run of form on Sunday afternoon, notching a whopping four assists in addition to her goal (the USWNT record for assists in one game is give, held by Tiffeny Milbrett). 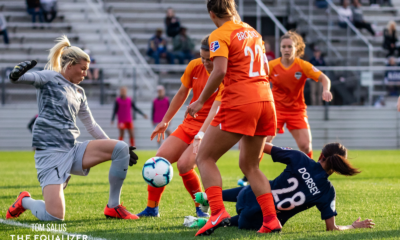 Earlier this week, in Thursday’s game, Rapinoe sometimes found herself caught out of the action the more she tracked centrally in search of service, but on Sunday, she utilized her range of motion to be a playmaker throughout the match. In her second game working with Crystal Dunn behind her, Rapinoe found space roaming between the left flank and the center of the field, and she jumped on opportunities to impact the game without having to exert the off-the-ball energy that has rendered her less effective in the past. While one of the assists came from old-fashioned hustle (a slick pass to Alex Morgan in the 44th minute), her first assist came from a calm ball slotted through the center of the Mexico defense to find a streaking Mallory Pugh, and the other two came from perfectly weighted corner kicks to Lindsey Horan and Morgan, respectively. 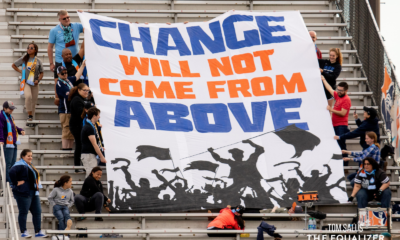 It’s difficult to discuss this particular issue without remarking again on the fragile goalkeeping situation for the U.S., along with the duties asked of the rotating cast of players tasked with filling the outside-back role. However, it must be said that the tenuous position of the USWNT backline is never more noticeable than in the way the USWNT defense reacts to set-pieces. Emily Sonnett and Crystal Dunn did admirable jobs with much of their work on Sunday, patrolling the flanks and working forward into the offense with enthusiasm, but their inexperience in the roles given to them showed in the two Mexico goals of the afternoon, both resulting from corner kicks. On those set pieces, the USWNT looked easily flustered and disorganized, relying on a positional awareness that wasn’t present against the quality service from Mexico. Regardless of which goalkeeper is on the field, the USA defense needs to communicate more clearly to avoid finding themselves working against easily defendable scenarios that turn into goals for their opponents. With Sonnett and Dunn in new roles, along with the relative inexperience of Davidson (despite her poise in both matches), Sauerbrunn can only fill so much space without opening herself up to injury trying to do too much at once. All in all, those hiccups only slowed down the USWNT so much in today’s match, but they reflect the more ongoing, troubling issues within their lineup. Ellis will want to get those pieces sorted out during the upcoming Tournament of Nations, so the World Champs can cruise into Concacaf qualifying without any question as to their rank in the region. The Equalizer Podcast, Episode 4: Where have all the USWNT goalkeepers gone?